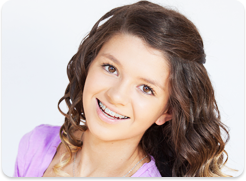 Traditional metal braces can involve some increased oral care each day. Invisalign’s simple and elegant design eliminates added time spent on brushing, flossing and rinsing. It takes less time to maintain your Invisalign clear aligners than it does with traditional metal braces, so you have more time for your normal activities. Caring for your Invisalign trays couldn’t be easier. You can utilize the Invisalign® Cleaning System, which consists of a rinse that leaves your aligners plaque and odor free in only fifteen minutes. You can also use a soft bristled toothbrush, toothpaste, and lukewarm water on your aligners. Be sure not to use mouthwash or a denture solution on your trays, as this can damage them. Be sure to store your aligners in your container when not in use, to prevent any damage. You should remove your Invisalign aligners when drinking anything other than water. Run your new set of aligners under warm water before snapping them in to place. Easy does it when it comes to the care of your Invisalign® aligners. Read more about Invisalign clear aligners here. Award-winning Schuylkill Haven, PA Orthodontist, Dr. Jason Hartman of Spark Orthodontics offers the most advanced braces for children, teens and adults, including Invisalign. 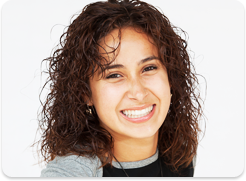 Contact us today for a free Invisalign consultation and exam at one of our orthodontic offices. With 4 convenient orthodontic offices located in Schuylkill Haven, PA, Temple, PA, Bethlehem, PA, Schnecksville, PA, Lancaster, PA, York, PA, Hazleton, PA, Danville, PA and Freeland, PA, there is sure to be an office conveniently located near you. Call us today at 610.865.2777 for a complimentary consultation for braces and Invisalign.